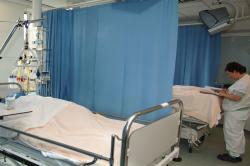 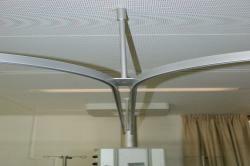 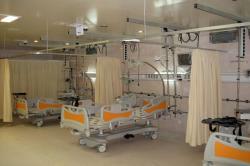 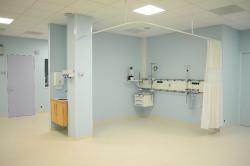 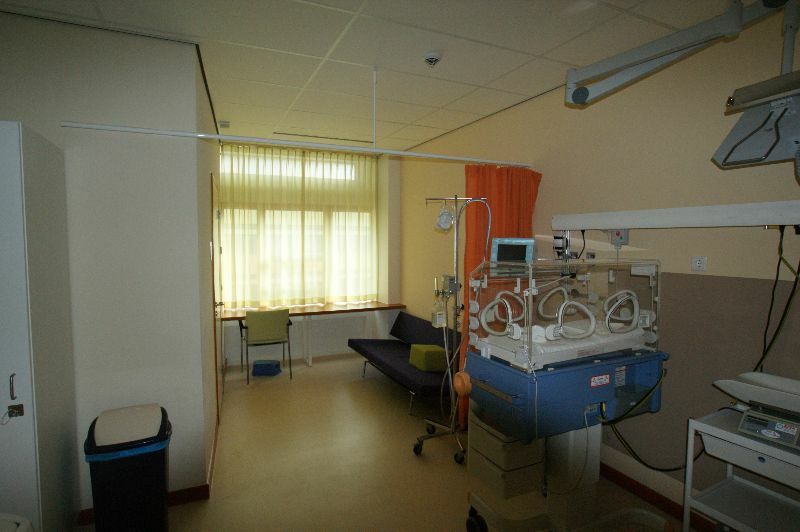 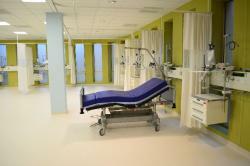 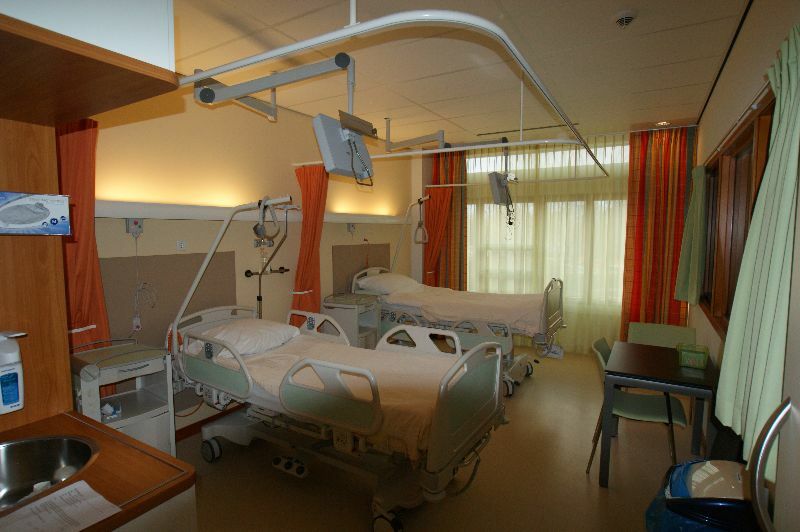 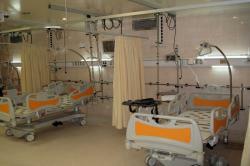 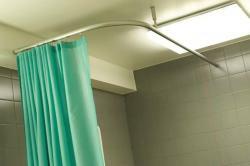 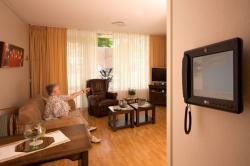 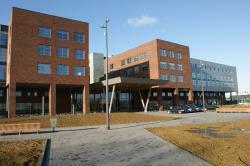 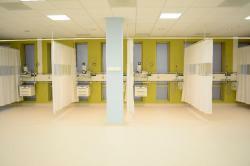 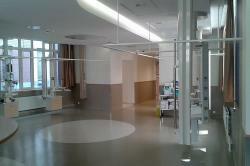 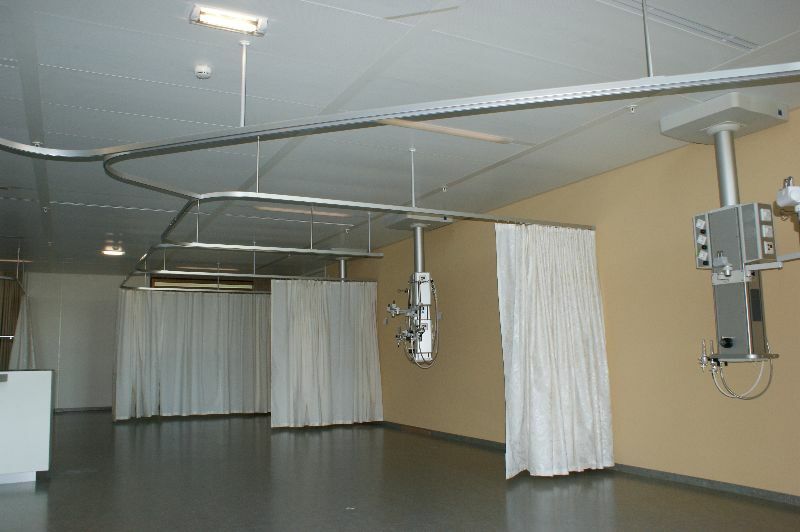 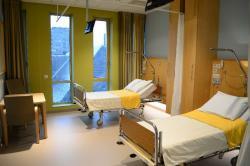 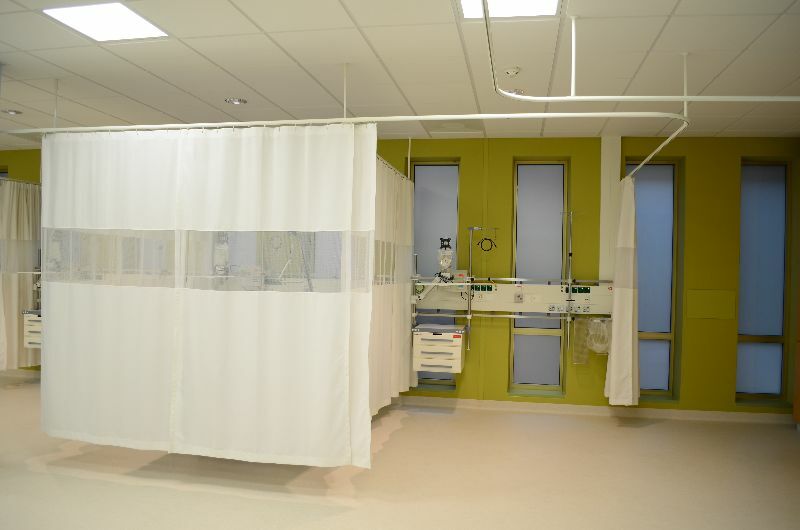 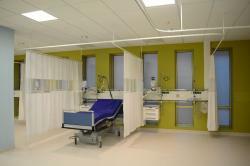 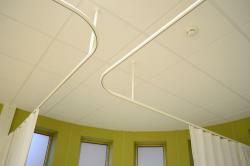 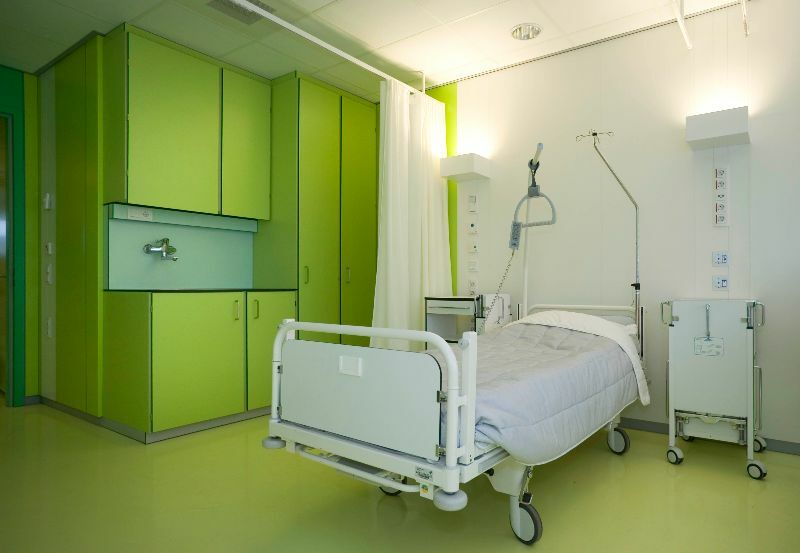 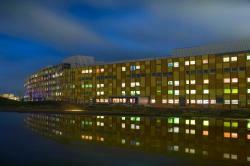 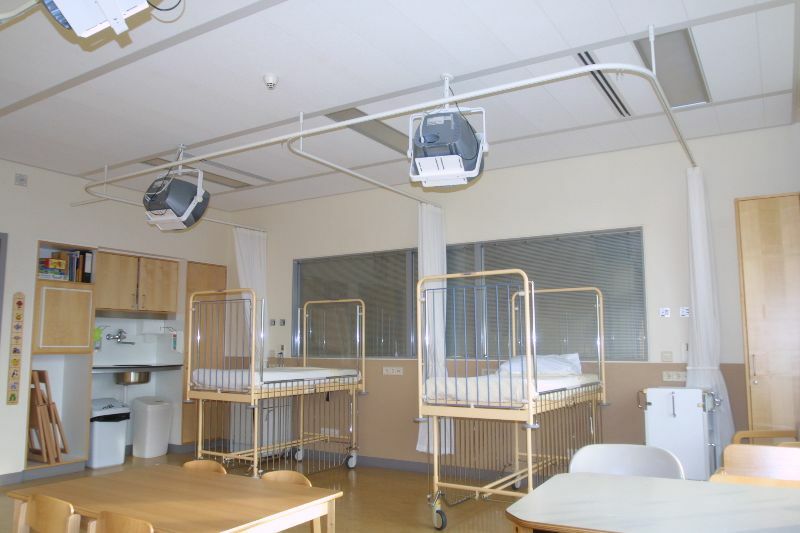 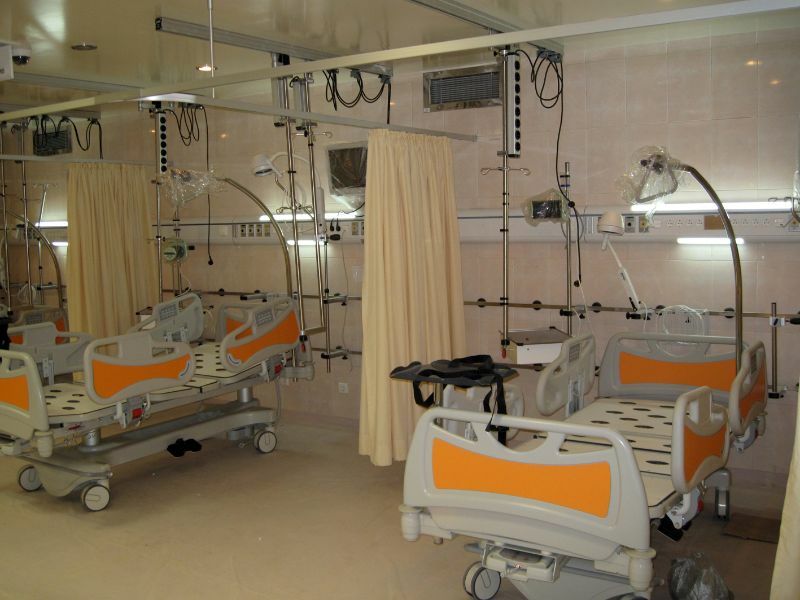 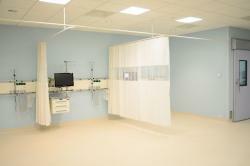 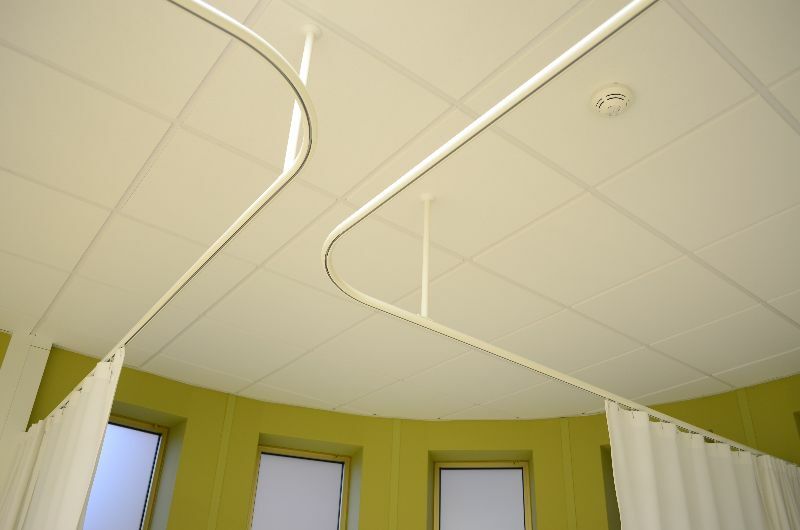 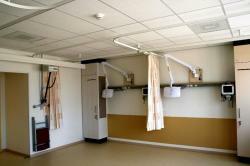 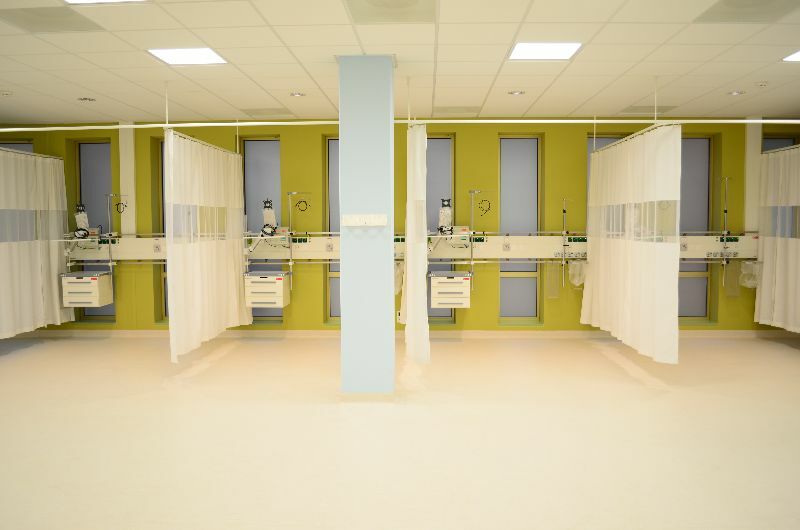 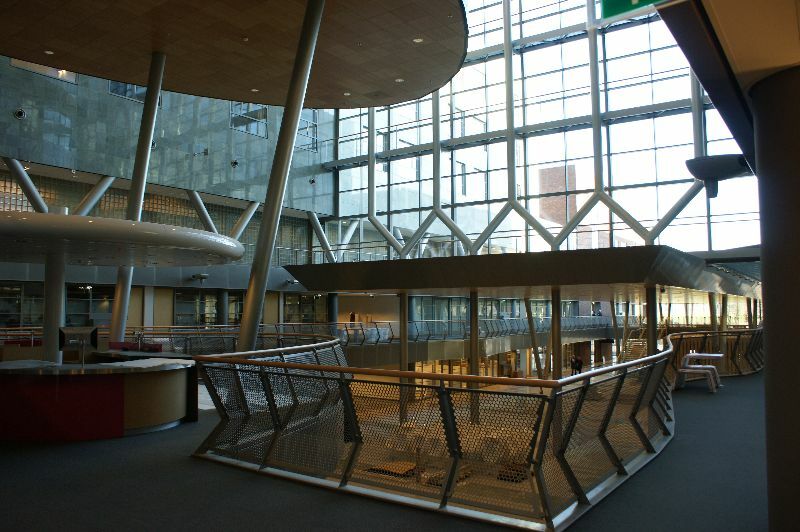 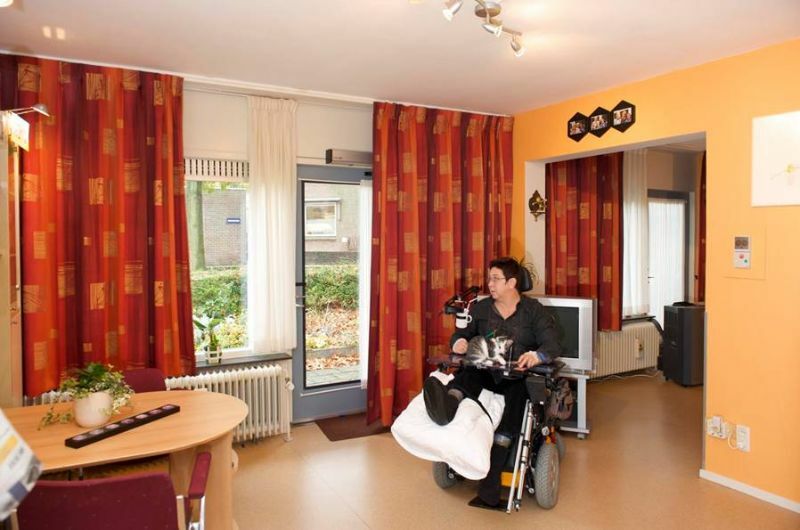 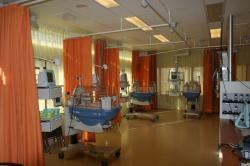 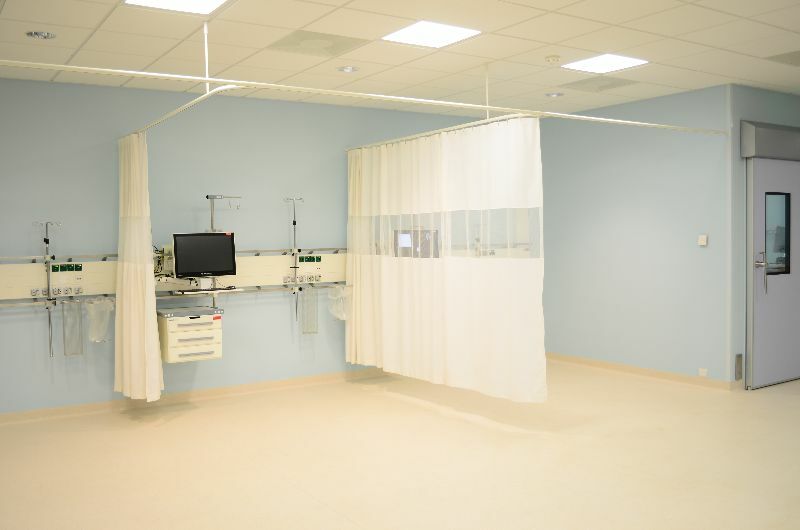 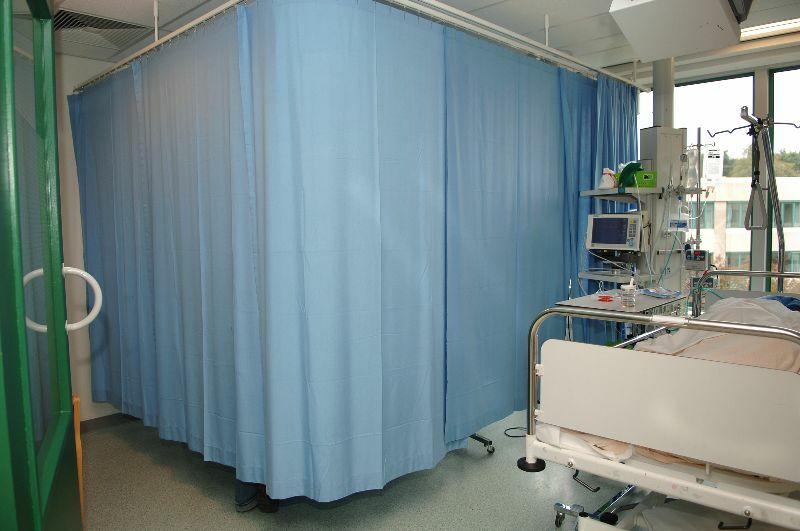 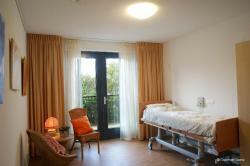 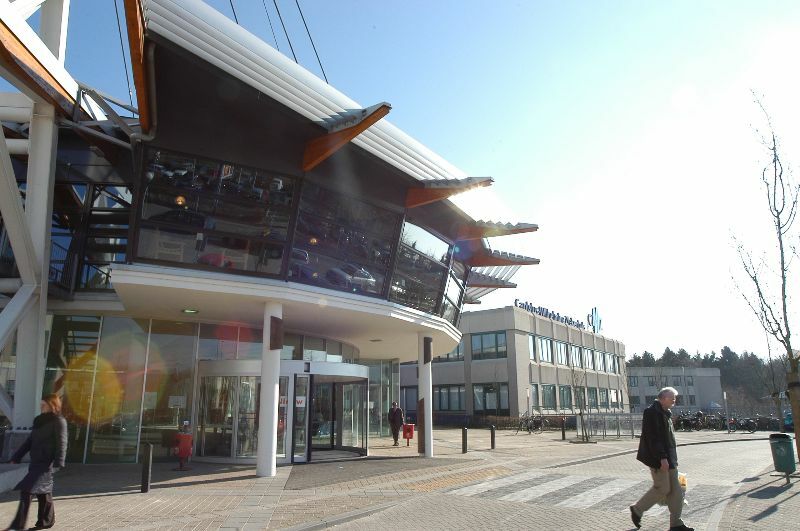 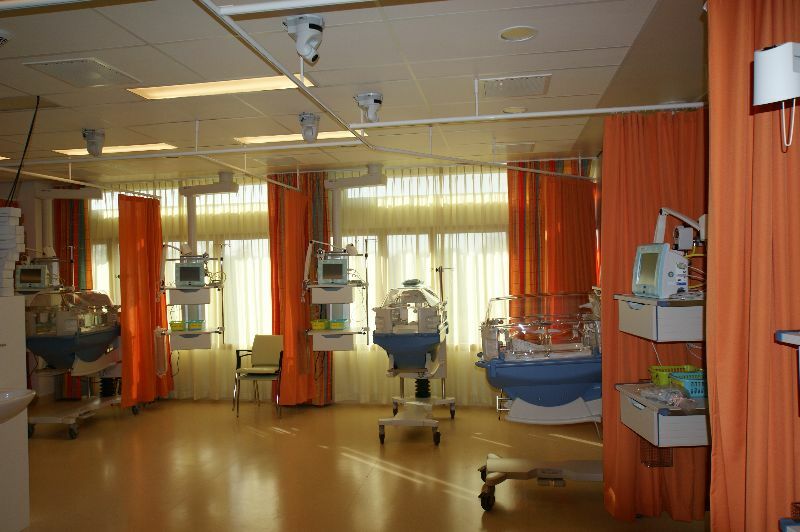 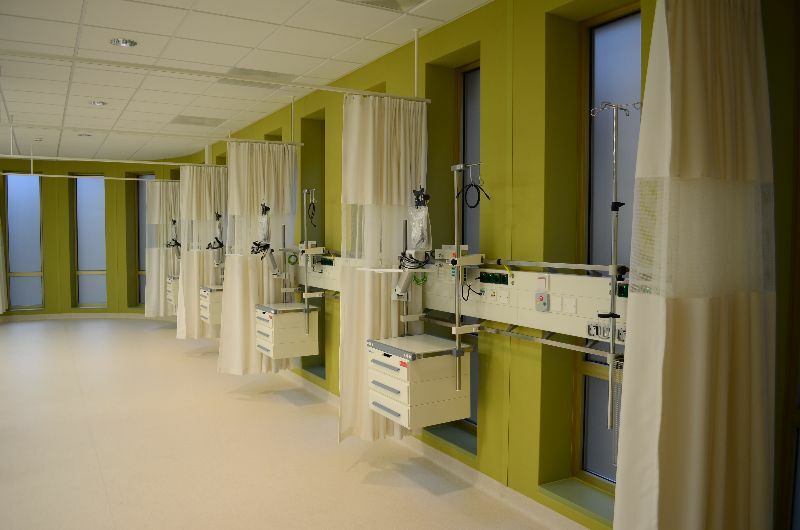 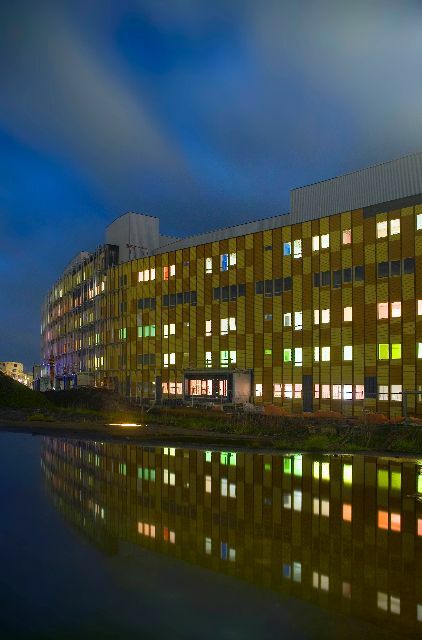 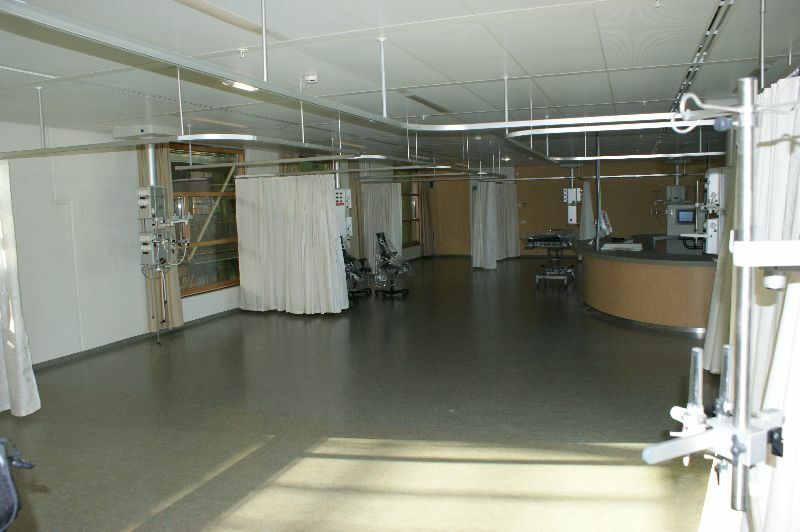 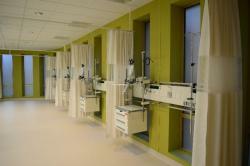 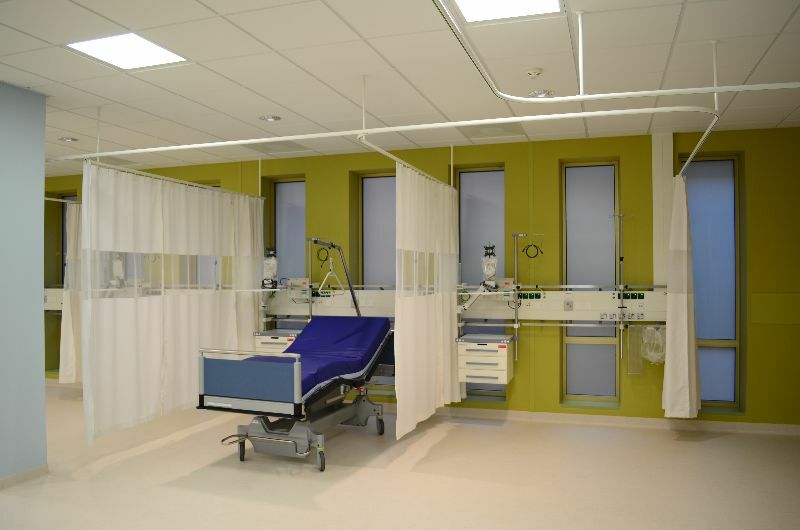 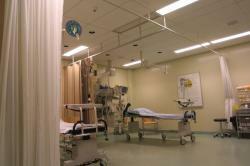 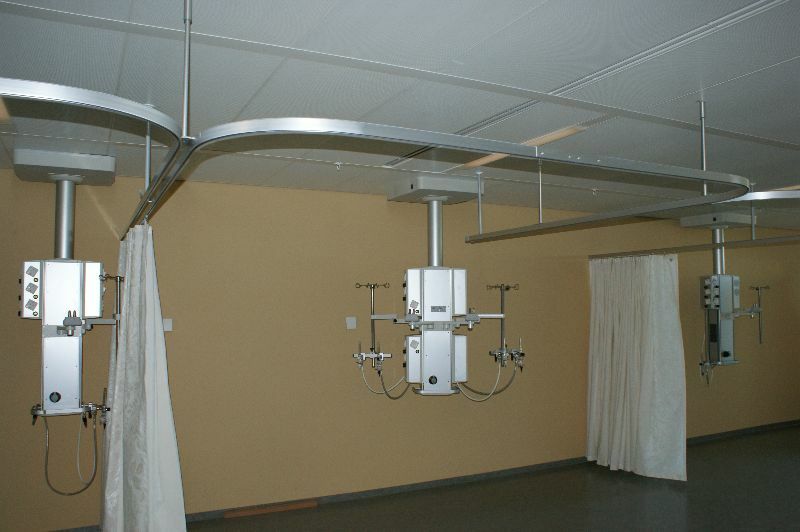 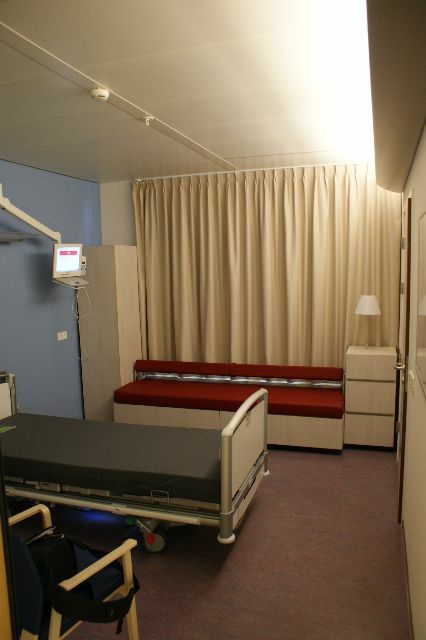 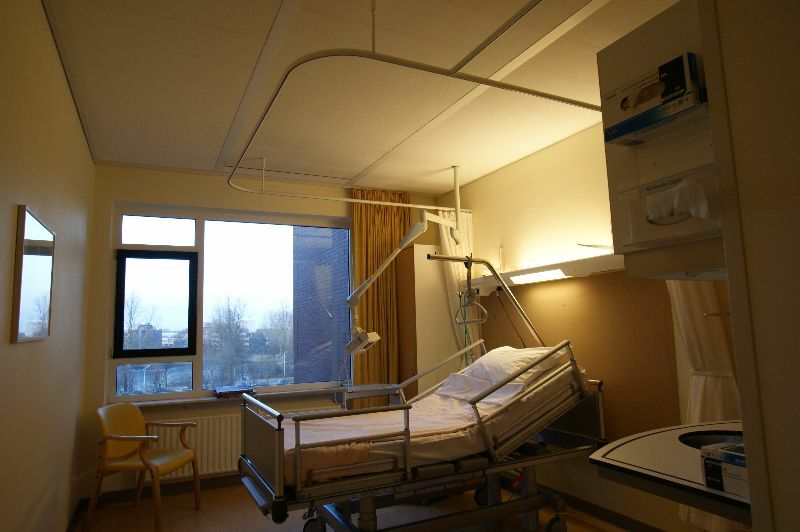 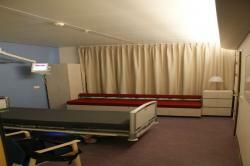 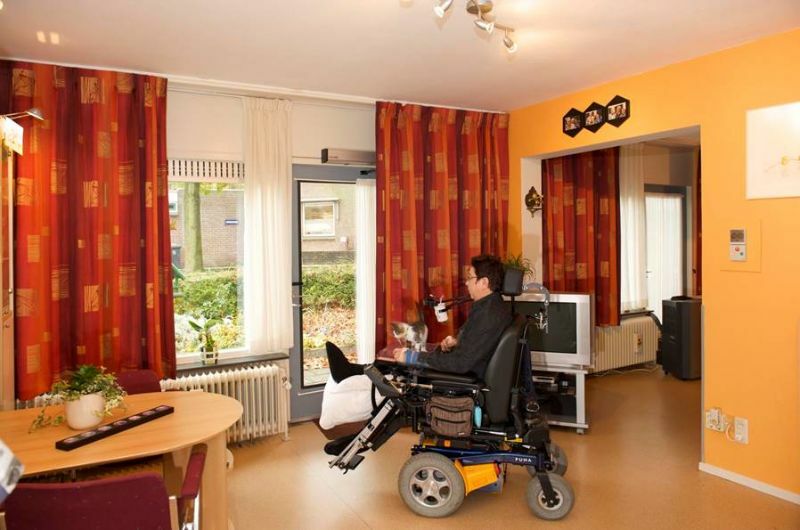 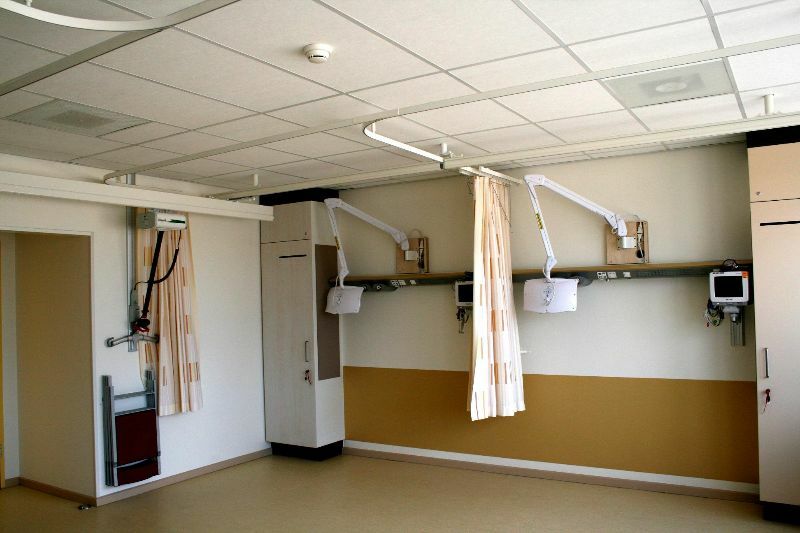 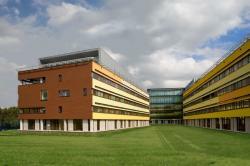 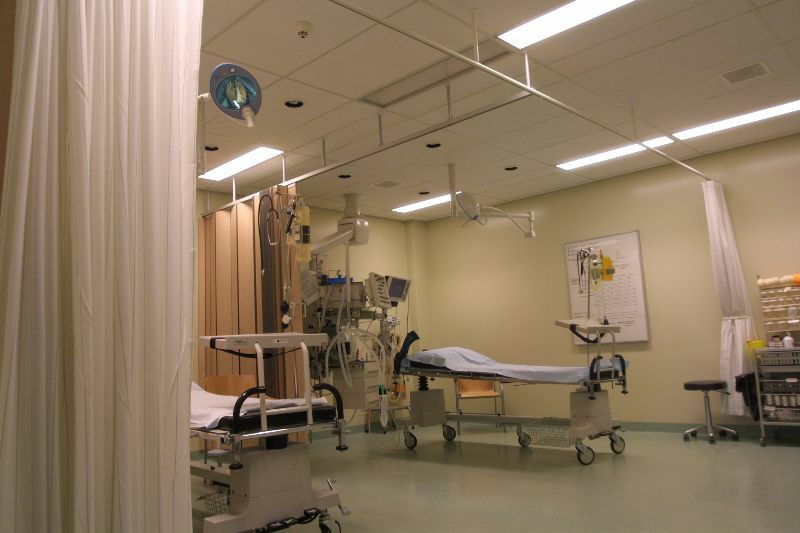 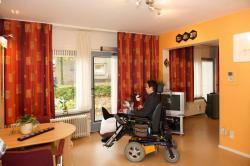 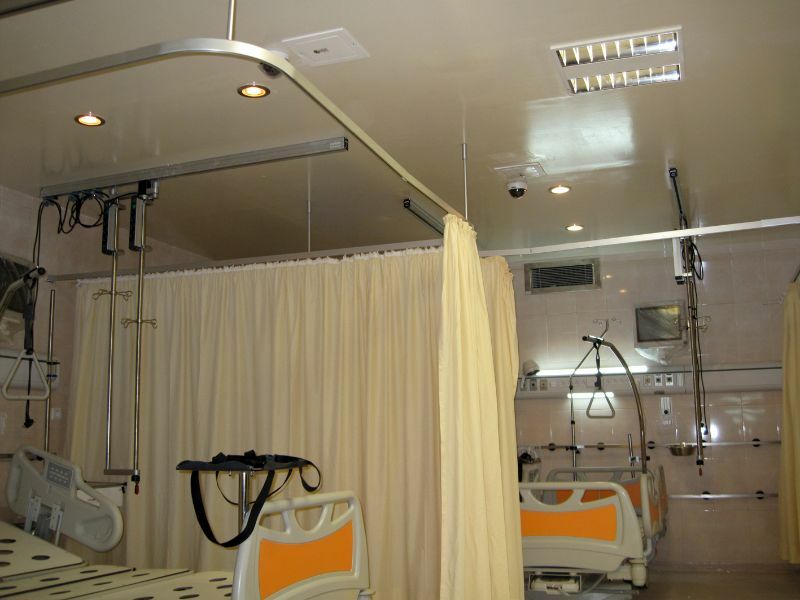 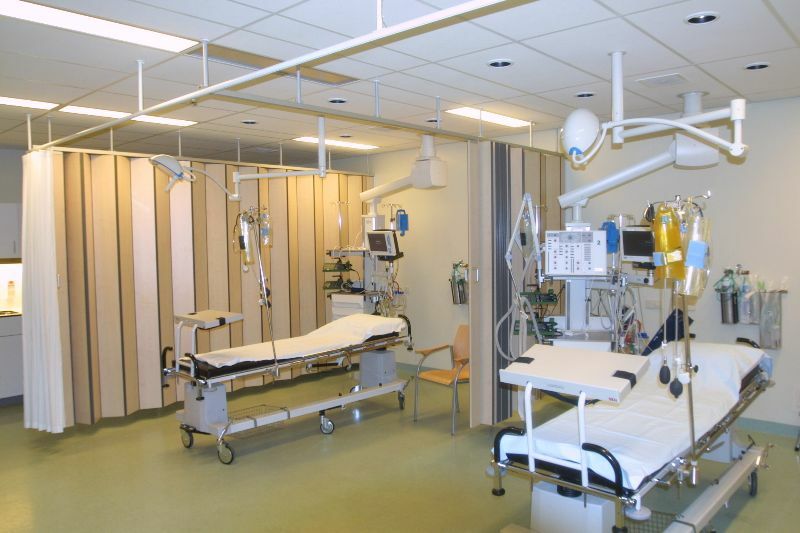 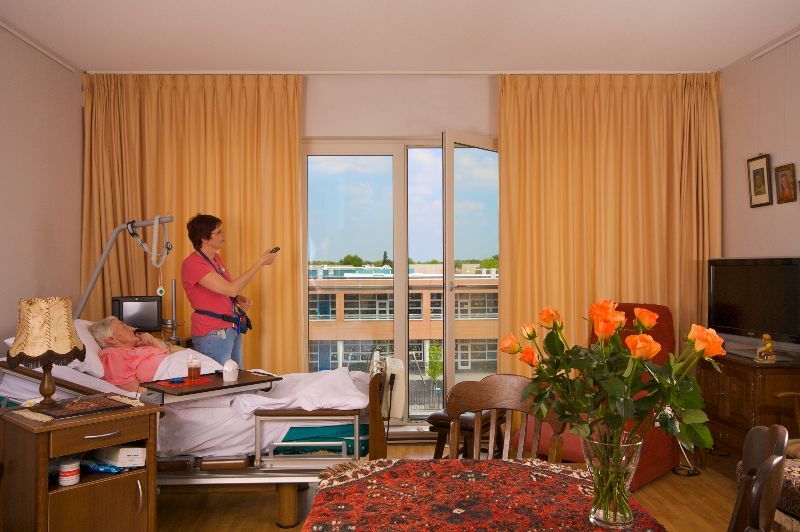 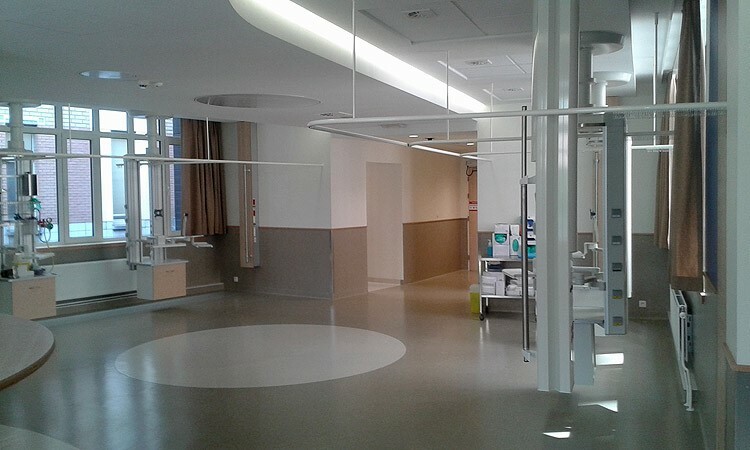 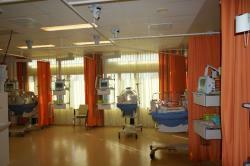 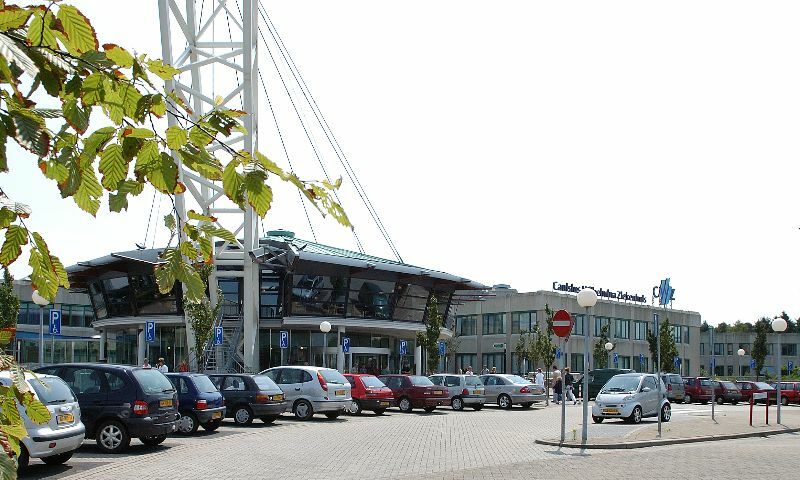 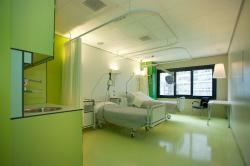 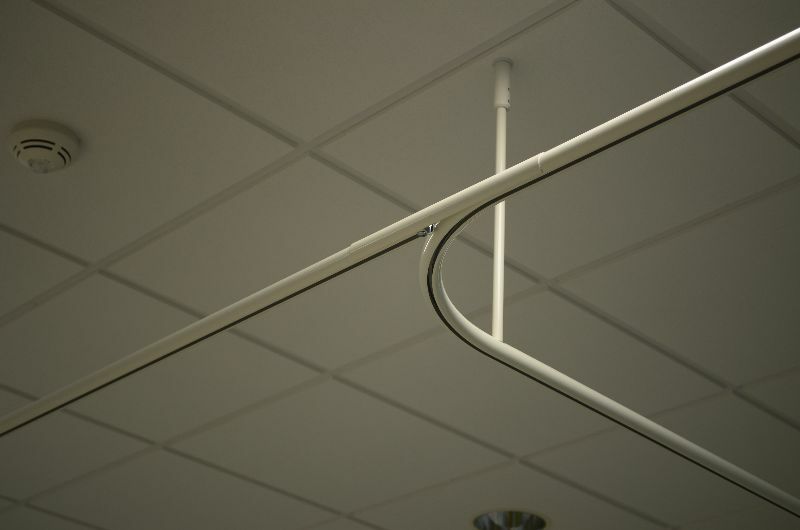 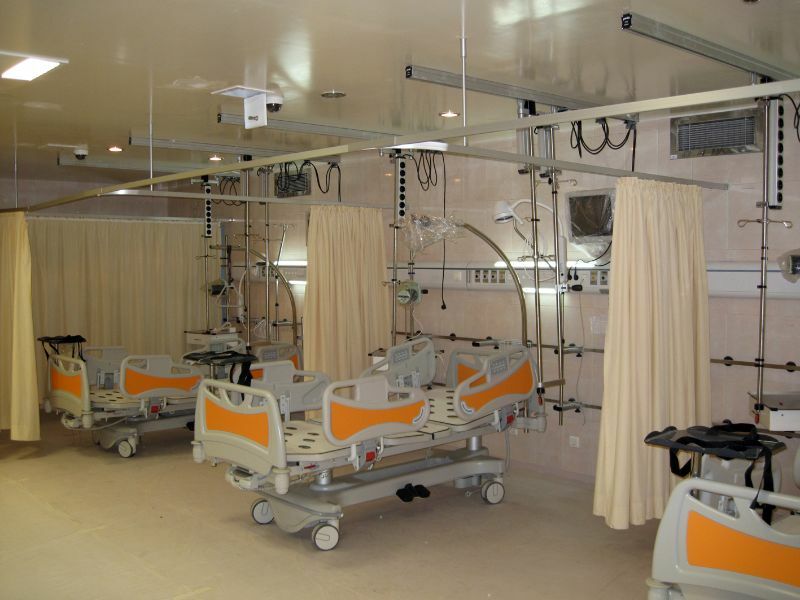 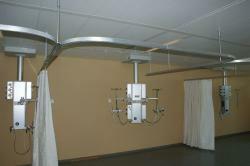 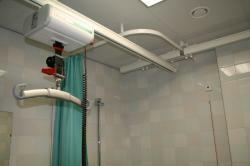 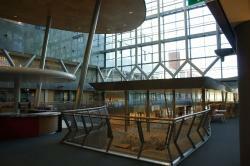 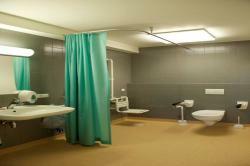 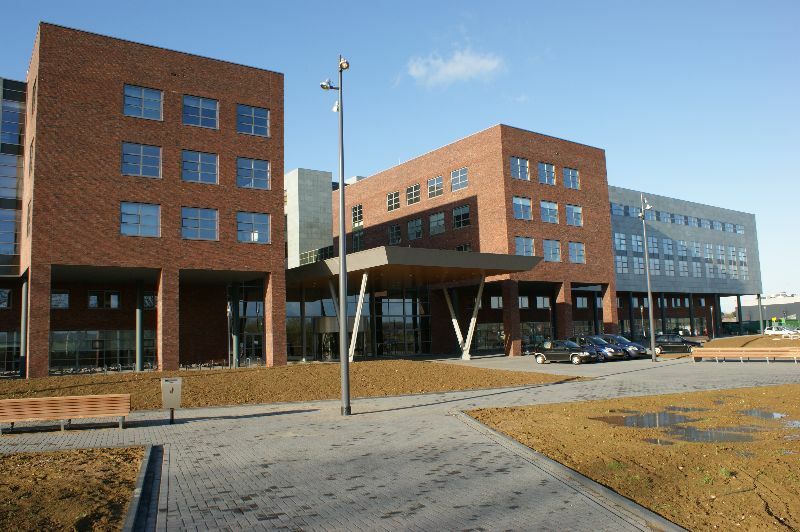 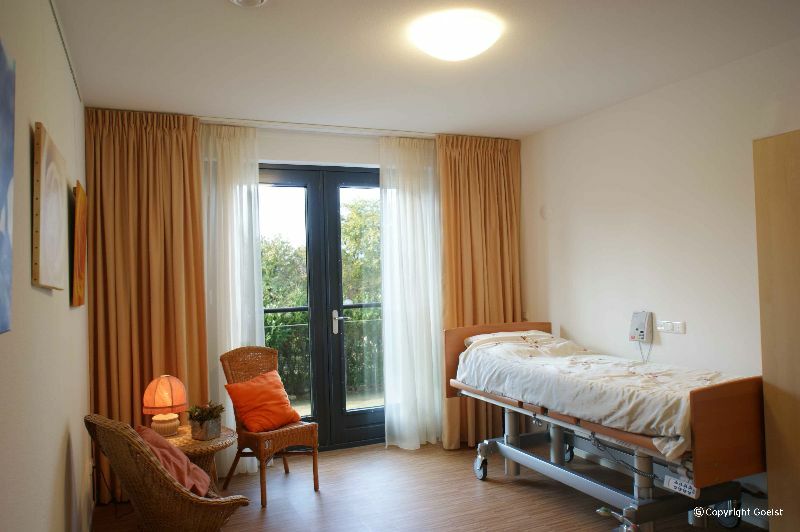 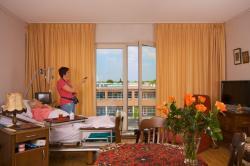 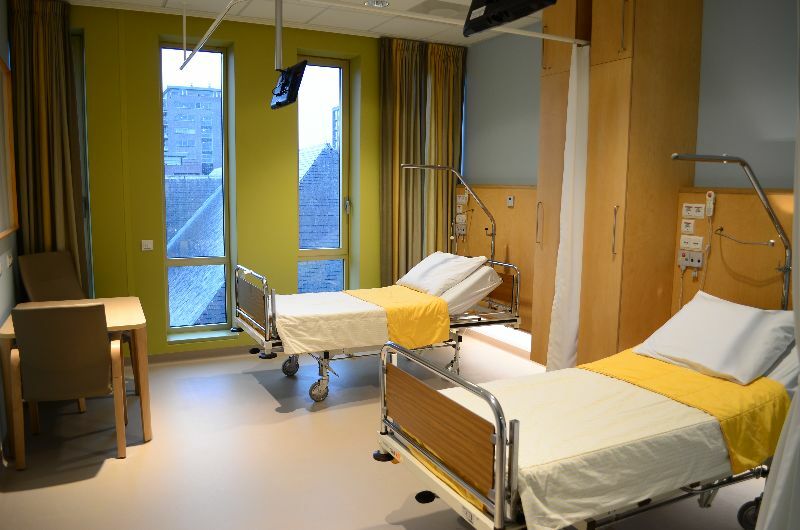 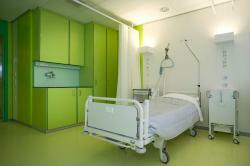 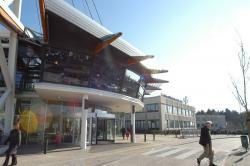 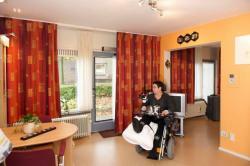 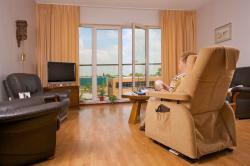 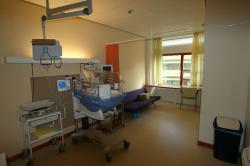 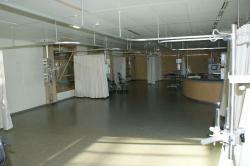 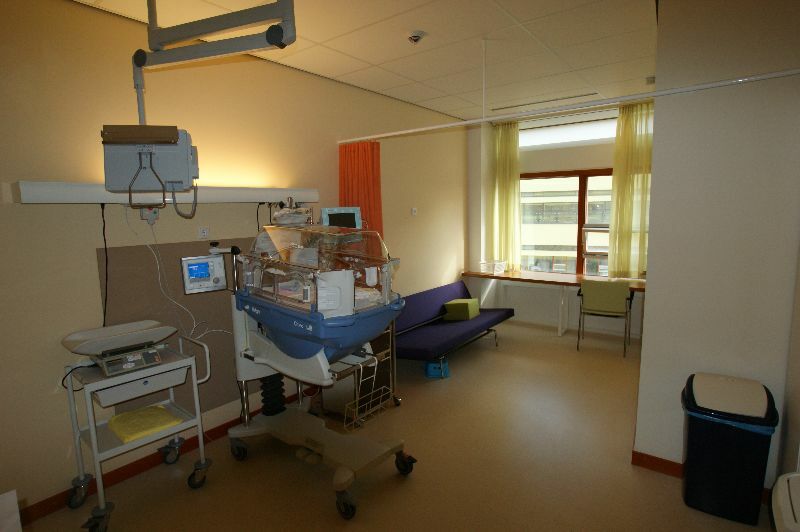 Goelst offers a comprehensive range of curtain track systems specifically developed for the healthcare market. 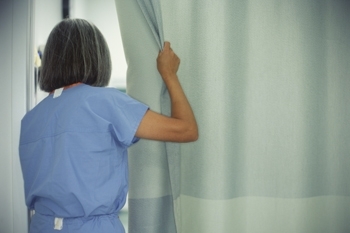 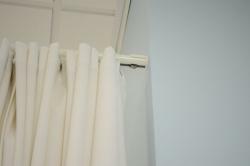 Our cubicle curtain track systems provide the privacy needed. 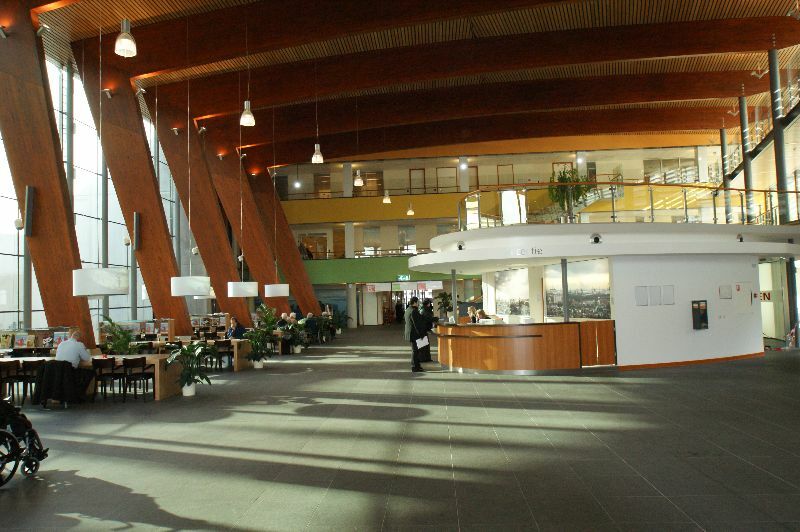 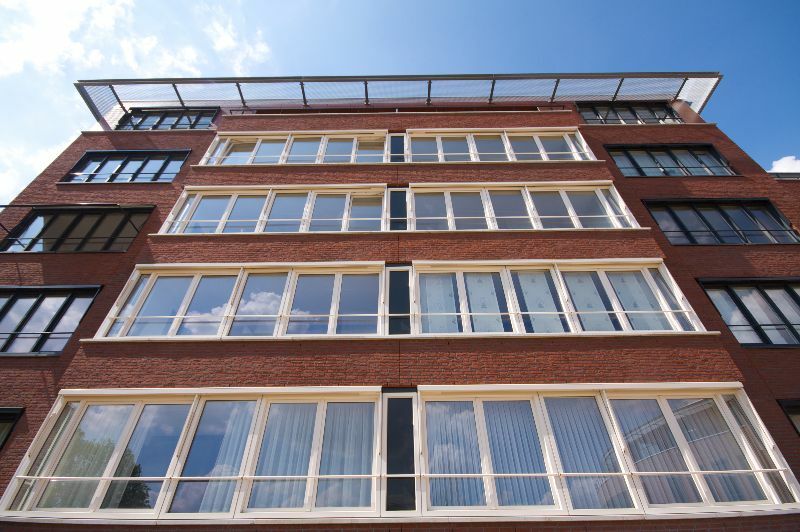 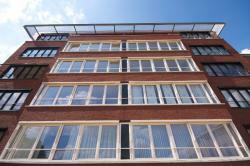 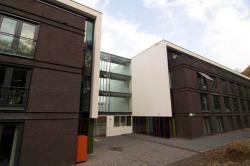 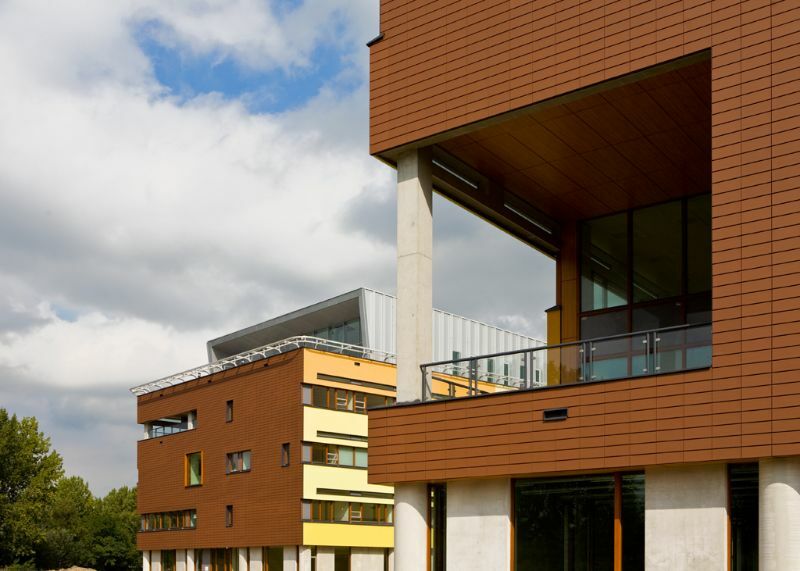 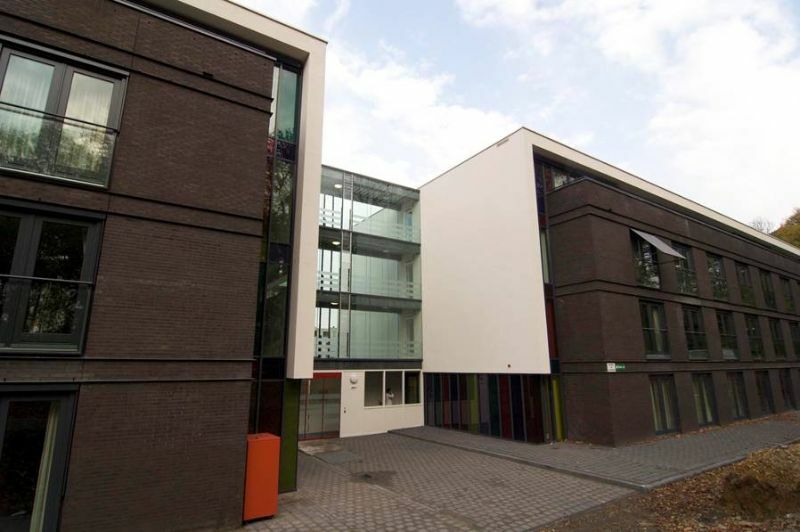 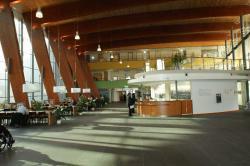 The extensive range of Goelst window track systems can be applied generally and are easily installed. 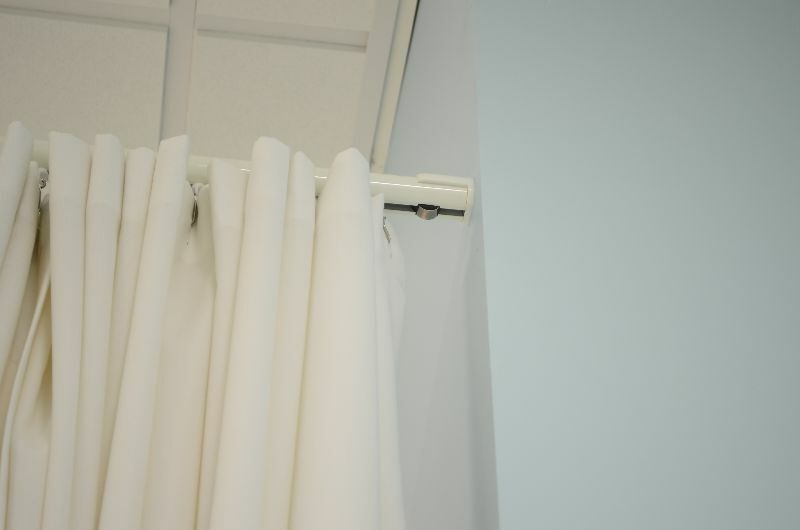 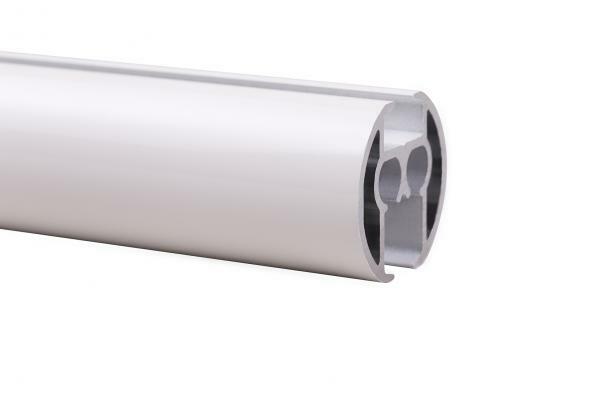 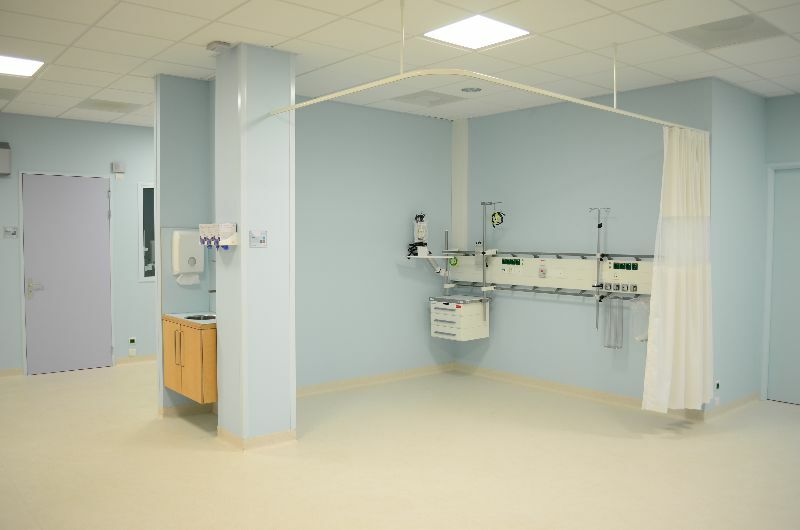 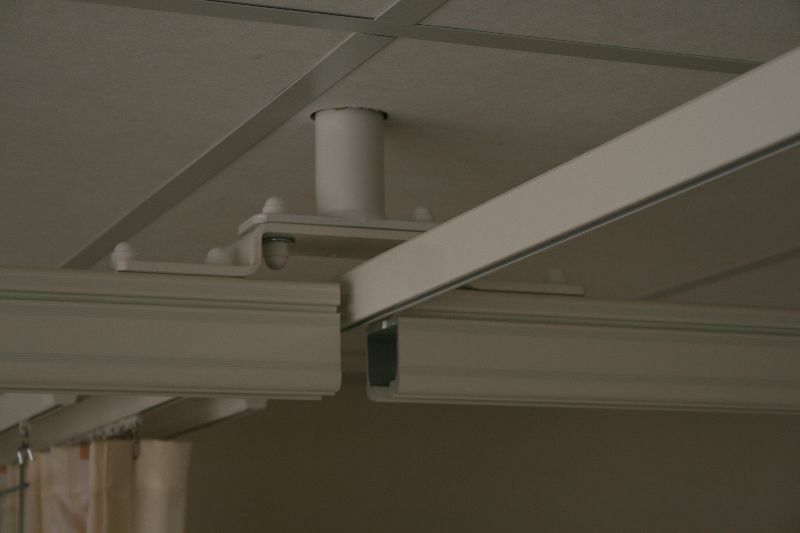 The patented LRS (Load Release System) is our solution to the healthcare’s requirement for both privacy and window curtain tracks to be released under conditions where there is a requirement for reducing ligature risk. 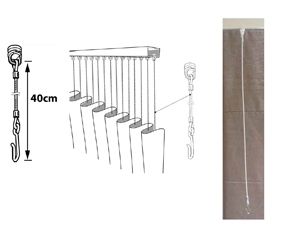 Goelst manufacture and install made-to-measure cubicle curtain tracks in accordance with customer requirements to include all necessary accessories. 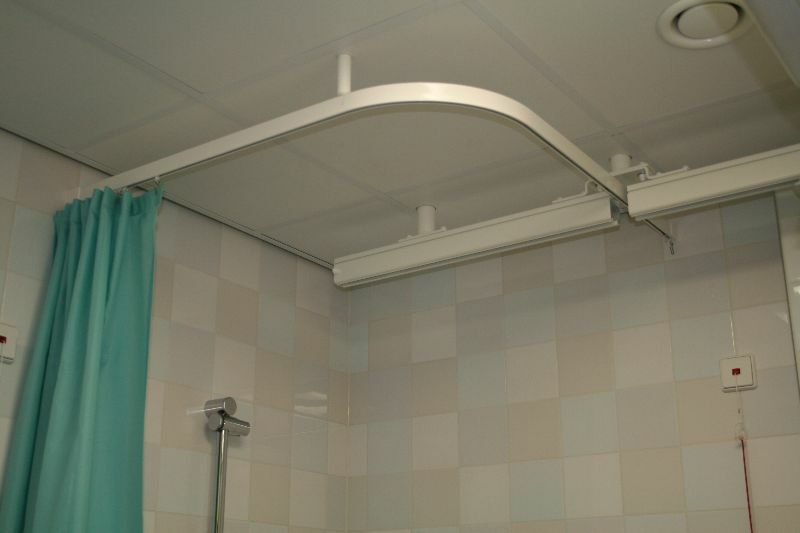 Due to their quality finish, Goelst tracks are suitable for use in wet rooms, they are functional, robust and durable and are supplied with dust-resistant PVC cover strip. 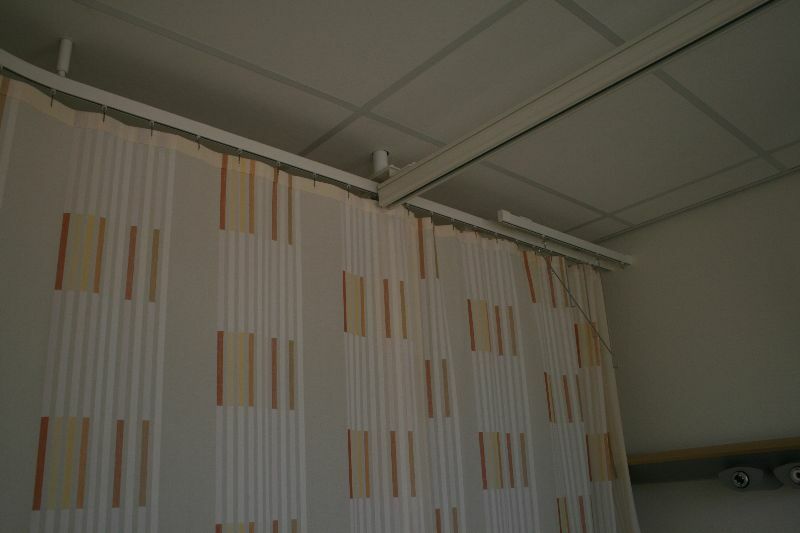 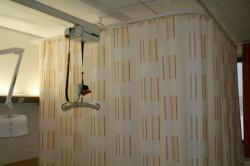 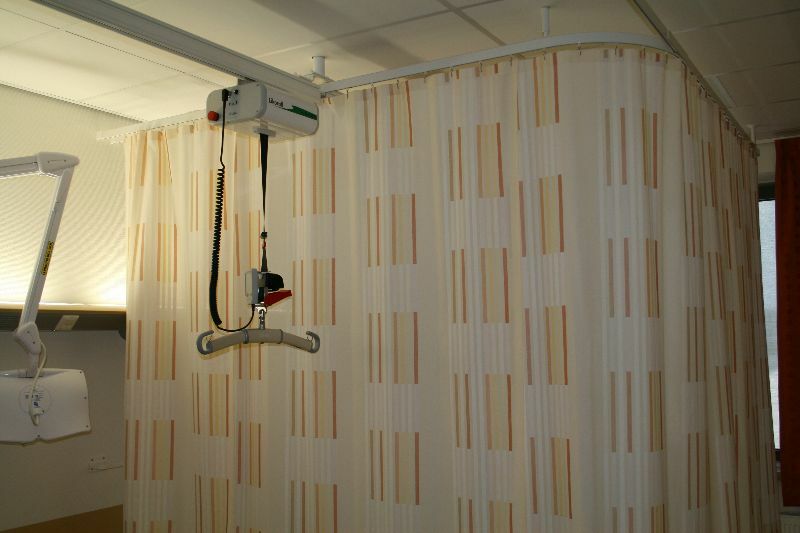 Other components associated with privacy tracks include IV drip supports, IV hooks and curtain holdbacks etc. The track can be both wall and ceiling mounted creating a stable, secure installation. 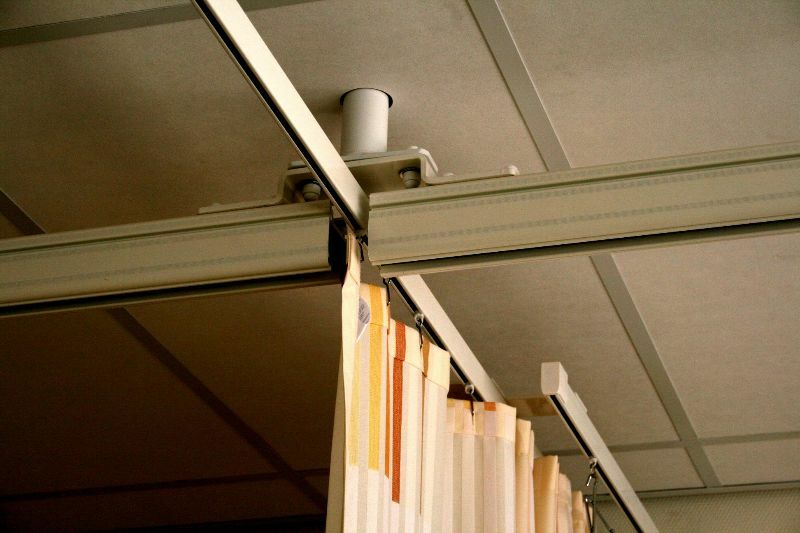 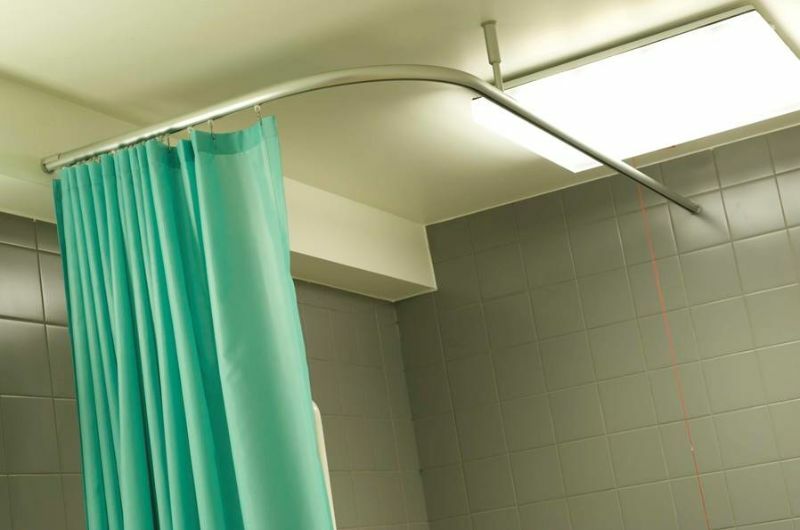 The Goelst Load Release System is our solution to the healthcare sector's requirement that cubicle curtain tracks and window tracks should release where certain high risk situations exist. 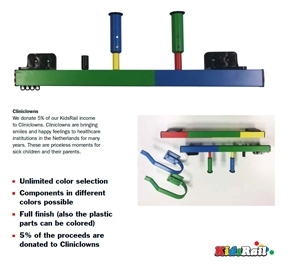 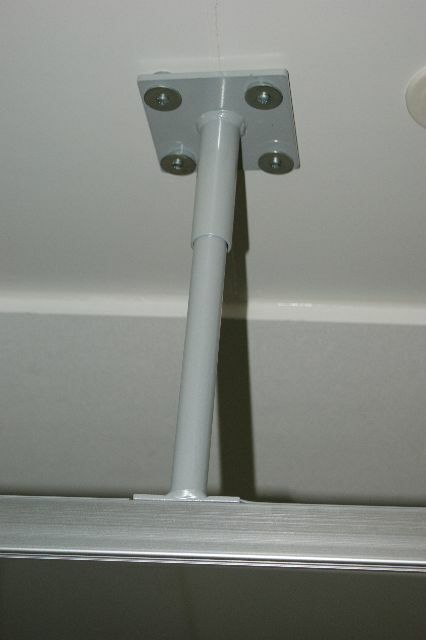 This unique, patented solution allows the track to release from its contact points under momentary loads of approximately 35 kg. 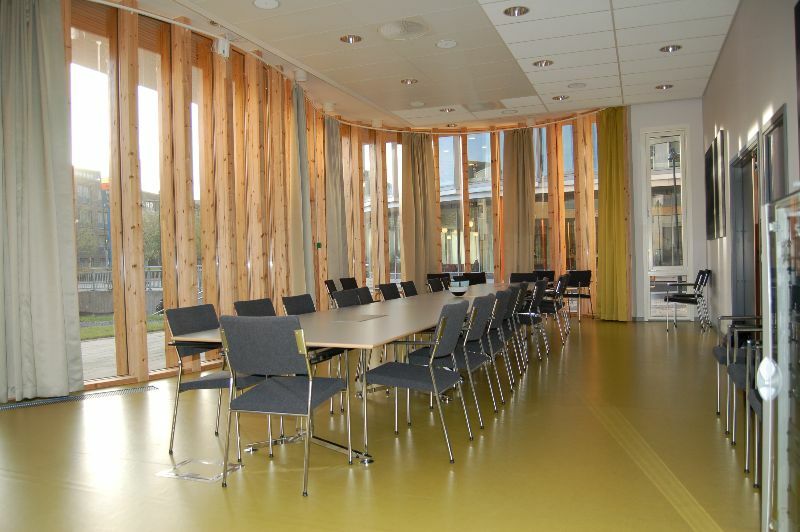 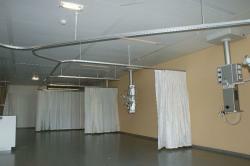 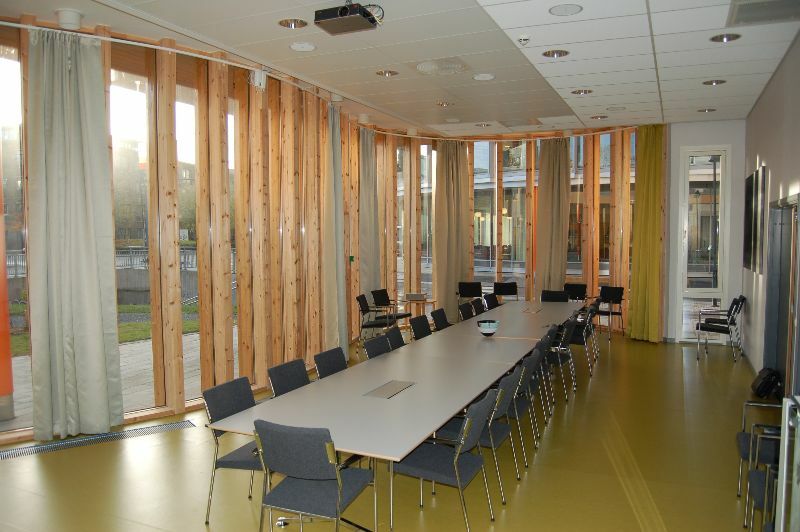 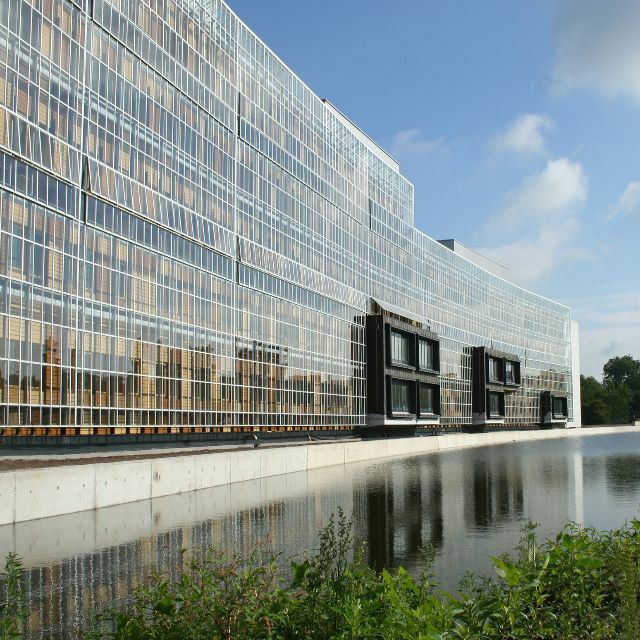 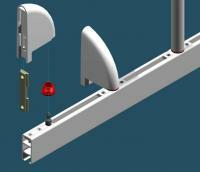 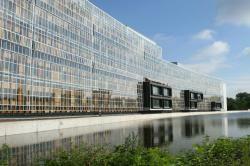 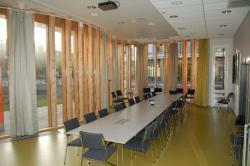 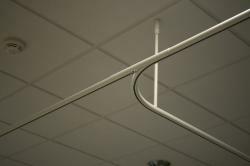 The LRS system was developed specifically for Goelst cubicle curtain tracks. 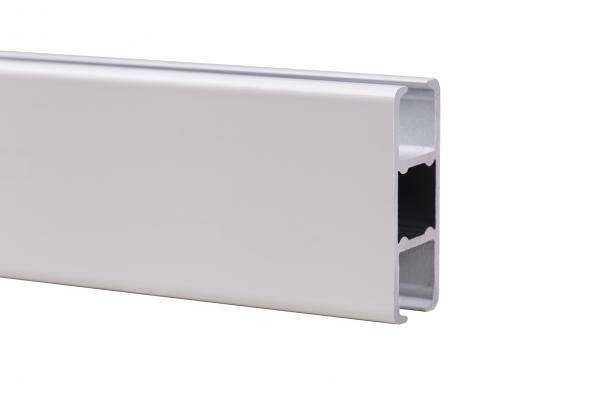 At peak loads of more than 35 kg, the tracks will detach correctly providing they have been installed in accordance with Goelst specifications and by qualified, trained personnel. 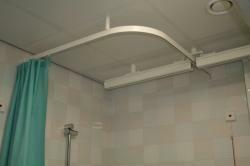 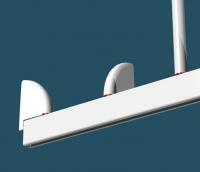 LRS gliders can be used in our wide-channel profiles. 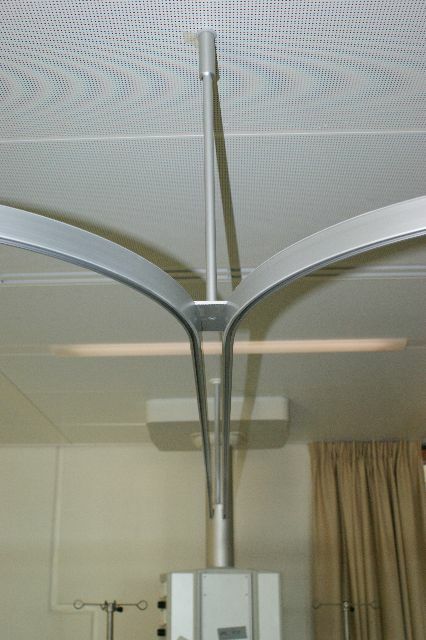 The gliders pop out of the track whenever the curtain is subjected to sudden or high loads. 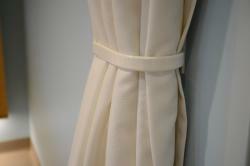 This helps reduce the risk of ligature while at the same time reducing damage to the curtains/curtain tracks. 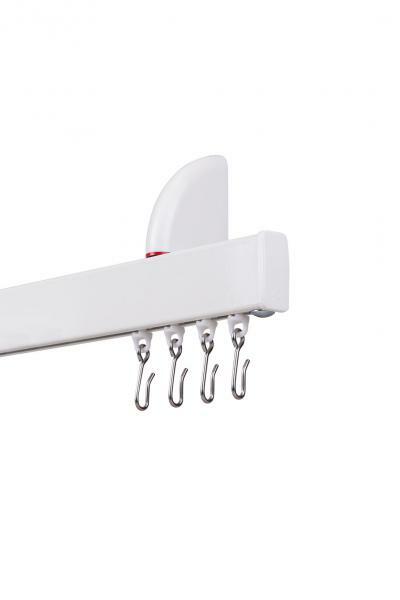 For safety reasons, flexible plastic hooks should be used. The LRS system is particularly suitable for hospitals, nursing homes, homes for the elderly, mental health facilities and other healthcare institutions.